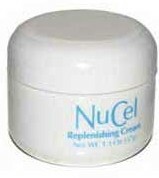 NuCel Replenishing Cream is a product that has been recommended to help soften tissue 1 to 2 weeks prior to using C-Herb Externally. It may also be used the 2 weeks following the use of C-Herb to further minimize scarring of the treated area. It may be best to wait until the center part of the affected area caused by C-Herb is completely out before applying Replenishing Cream to heal. It was specially designed to penetrate and transport healing across the cellular membrane. 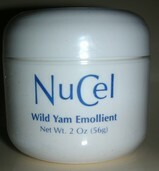 It has proven to be highly effective as a healing cream and cell rejuvenator. Use it for everything, from cuts and bruises to burns. It can also be mixed "safely" with c-herb external to soften it - if needed. Spring water, petrolatum, mineral oil, ceresin, lanolin, alcohol, sorbitan sesquioleate, canola oil, tocopheryl acetate, allointan, soybean oil, unsaponifiables, glucosamine HCI, fructose, methylparaben, propylparaben. 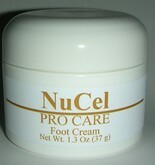 I do not have a question but I just wanted you to know I just placed my 3rd order of Nucel Replenishing Cream. I have psoriasis on my hands and feet. I have been treated by a dermatologist with very expensive creams with limited relief. Nucel has almost completely cleared my psoriasis. I reluctantly tried it about 4 months ago and the results have been amazing. Thank you !! !